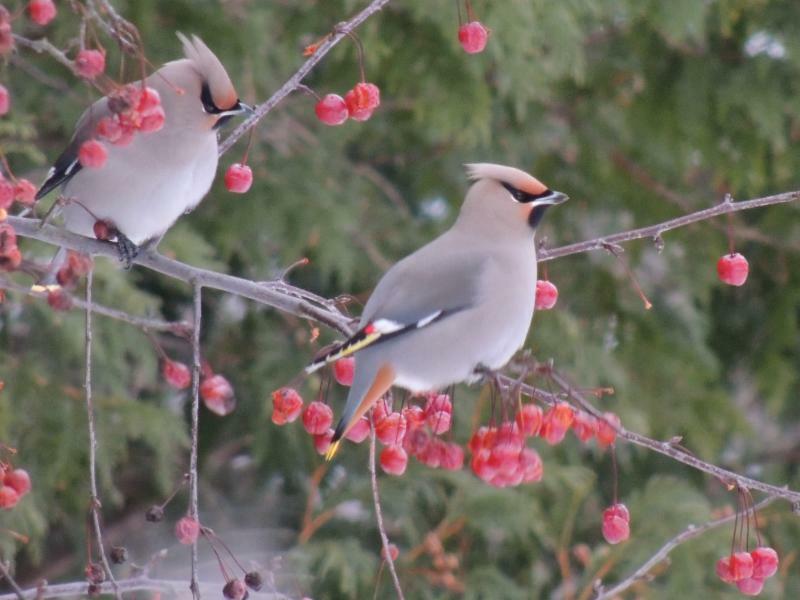 Imagine a bird whose perfect winter home is dense cedar forest, near abundant fresh water… The Bohemian Waxwing is just such a bird, and Washington Island is that perfect winter home. In the coming months, Door County’s shorelines, islands and wild places will offer a resting spot or home to hundreds of species of migrating and nesting birds. The loss of habitat is one of the greatest threats to many birds and gives greater meaning to the land protection work of the Door County Land Trust. Click here & you will find four ways you can volunteer to protect and restore habitat for birds, plants and animals. Get your hands dirty while we “spruce” up our native landscape. Or, grab your shovel and join us to plant native choke-cherry and bird-friendly shrubs at the Lautenbach Woods Nature Preserve. Our nature preserves are “for the birds”!